In the late 1990s a new type of ceramic arc tube was offered to the world's light source manufacturers. The material was Yttrium Aluminium Garnet Y3Al5O12, better known as YAG, having grain sizes of the order of one micron such that it could be rendered transparent. This material had been trialled in large-grain translucent form for high pressure sodium arc tubes some twenty years earlier, one of its principal advantages being that it is some ten times more resistant to the corrosion of sodium. However at that time, other problems were more pressing in the sodium lamp and cheaper alumina was more than adequate. 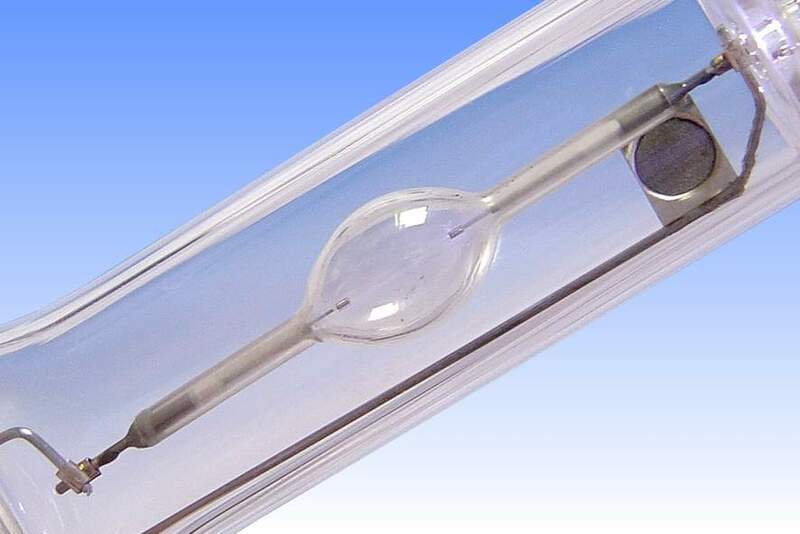 More recently there was interest in transparent YAG ceramics for the newer generations of ceramic metal halide lamp. It has the potential to offer improved optical control which is especially important for the smaller arc tubes, and it retains its strength at much higher operating temperatures than Alumina. The single piece slip-cast tube pictured here was created by Japan's Konoshima Chemical Company, and the Japanese ceramics firm Toto manufactured the lamp. Regrettably YAG has one major drawback. 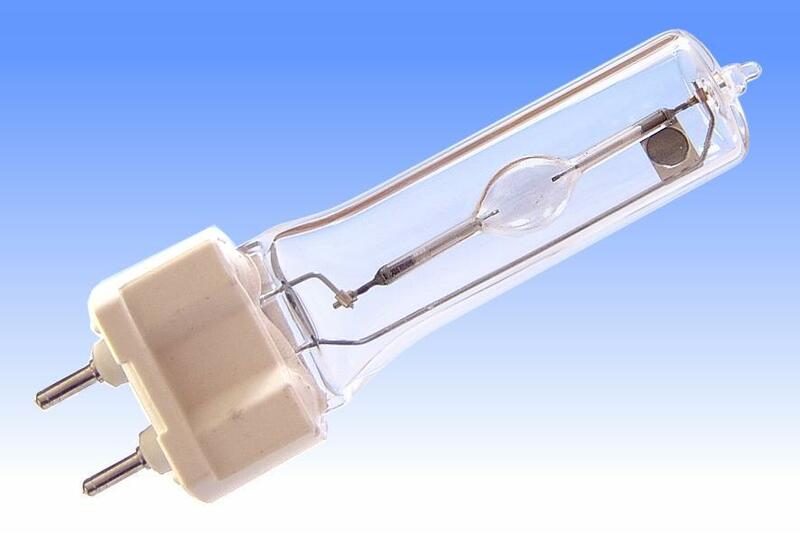 It may be much more resistant to alkali metal attack than alumina, but it is corroded vigorously by the rare earth halides found in modern ceramic metal halide lamps. Thus it begins to lose its transparency after a few tens of hours of operation. Konoshima subsequently developed the YbAG ceramic based on Ytterbium instead of Yttrium, but this is still attacked and acquires a blueish colour tint, and ytterbium lines can be seen in the discharge. Thus these arc tubes today find an application only in lamps made for diagnostic purposes where the transparent body facilitates analysis of the arc. Manufacturer: Toto Ceramic Co. Ltd.
References: 1) Website of Konoshima Chemical, www.konoshima.co.jp.